How many likes for these tortoise rounded eyeglasses? I am a big fan of hipster fashion, but I am so into this preppy edgy style right now. 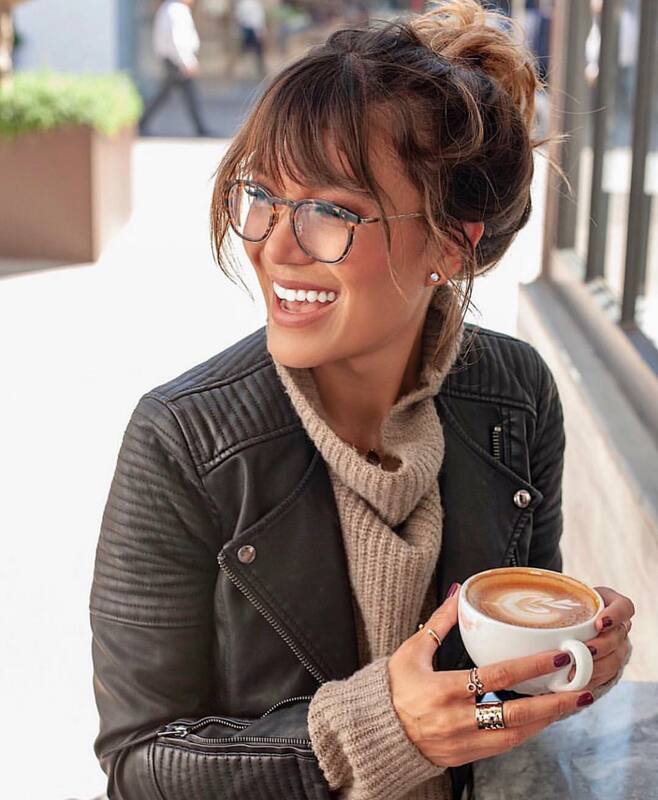 We see a young lady wearing rounded eyeglasses with a black leather jacket layered over a beige sweater. An ideal outfit for street walks and drinking coffee. How many likes for this combo? You definitely should give a try to this dark camel coat and leopard print pumps. They do look awesome with black skinny jeans and an oversized black sweater. An ideal choice for Fall season months. A kind of retro touch is felt in this simple classy Winter look. We see a crispy white teddy bear coat worn over white slouchy sweater half-tucked in a plaid wool mini skirt. A kind of 1960’s retro touch is felt in this simple combination. I am wondering where can you wear this outfit, have any idea? Let me know in the comments below. I definitely recommend you to try this combo. It’s an ideal choice for Spring season months. All you need is a grey cable-knit slouchy V-neck sweater, classic skinny jeans and a black leather fanny pack you can place over your shoulder. Would you dare to try such a modern grunge style? Let me know in the comments below. If you do like fashionable outfits, then you definitely should check out this simple and cute combination. It consists of a pastel blue beanie with fur pom-pom, white sweater, knee-ripped jeans, and camel shearling boots. 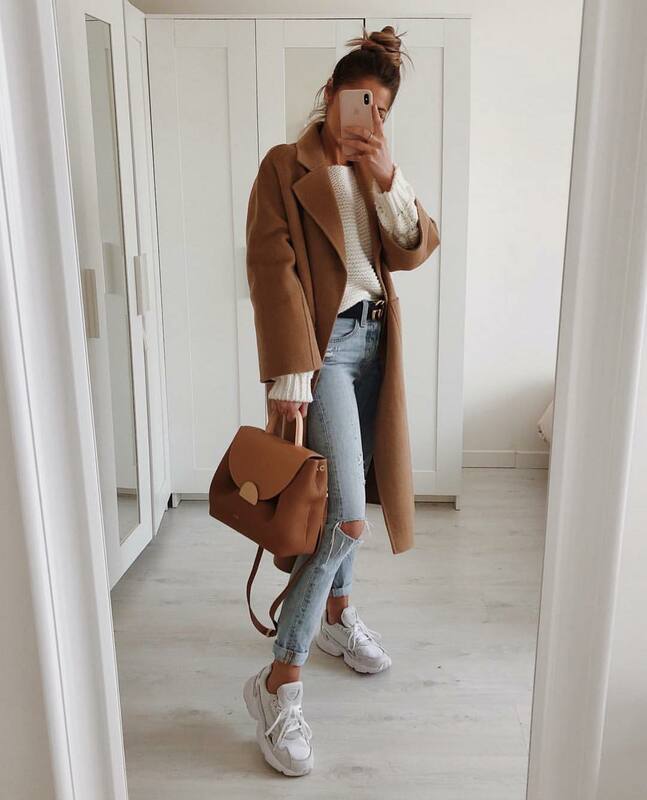 An ideal winter outfit for casual days. By the way, these oversized aviator sunglasses look pretty cool to me. Have a wonderful weekend my dear lady! Go for this beige oversized sweater and pair it with a grey leopard print denim mini skirt and OTK boots in beige suede. Complete this simple combination with a grey suede biker jacket and grey leather bag. Another monochrome style Spring outfit for young ladies. We see A-line sweater in white color paired with black skinny jeans and black heels with metallic pointed toes. Update this combo with classic sunglasses and black leather handbag. This time I want to show you stylish sweaters for women. Everything you see in this post can be worn on a daily basis. Some of the showcased styles look great with casual items and some are great for formal occasions. I am sure you will find here an ideal sweater that can easily match your wardrobe. If you ask me what type of sweaters to invest in, then my recommendations would be the following: make sure to try oversized and cropped sweaters, pullover designs, cowl necks, cropped knitwear, V-necks, sleeveless designs, crewnecks. Slouchy and oversized emerald green sweater is half-tucked in knee-ripped slim jeans complted with blue sandals. 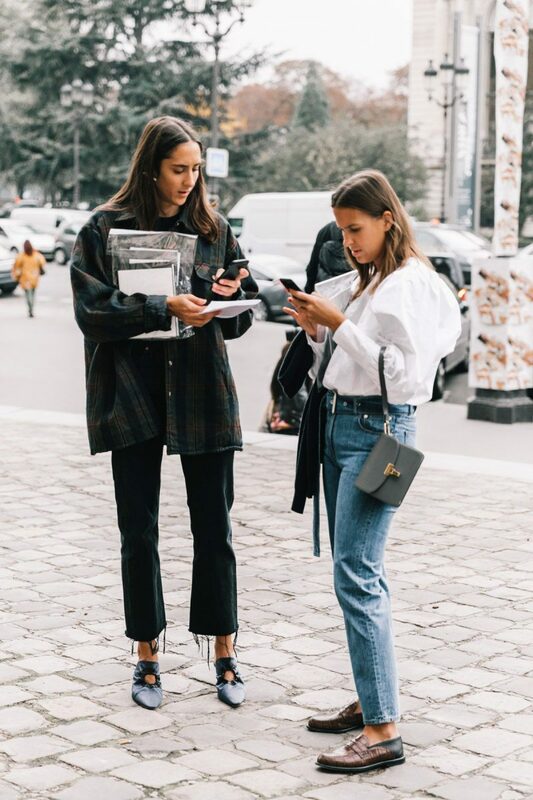 If you are bored of an ordinary street looks and formal dressing, then you should bring some revamp to your outfit by wearing casual chic looks this year. In today’s post, I am going to show you tips and tricks on how to dress up your casual pieces with chic clothing. You are about to see marvelous combinations where style meets comfort. I am pretty sure you are going to be wowed to see simple ways to make your ordinary outfits look sophisticated and elegant. If you are wondering how to make it done, then you better keep on reading to get some ideas and tricks.